In today’s digitally-driven age, diligent work and measurable results alone won’t drive an executive career. Getting recognition, finding new opportunities, and expanding your professional network all depend on personal branding. Most C-level employees have rotund LinkedIn profiles, but even the most successful businesspeople often miss key strategies for fully optimizing their online brands. Stand out on LinkedIn with these 5 tips for digital self-promotion. Get personal. Filling out your headline, profile, and job summary isn’t enough to catch the eye of Atlanta’s top recruiters. To fully utilize your professional network, hone your LinkedIn profile until it’s concise and professional without erasing your personality. As in personal networking situations, recruiters scour online profiles for executives who will meld with a company’s established vision and culture. Engage others. 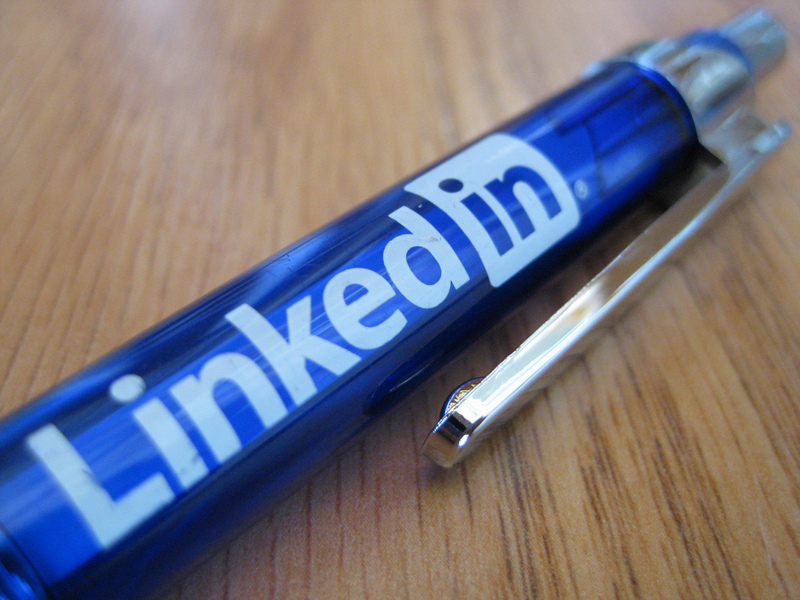 Stagnant LinkedIn profiles don’t win jobs and influence HR teams. If you’re struggling with staying active on LinkedIn, research how other executives in your industry manage their profiles. Join groups, add compelling and informative updates, follow companies whose work inspires you, and network through mutual connections. Don’t forget keywords. Although LinkedIn may feel like a virtual elevator pitch, don’t forget to optimize for search engines, too. Executives connect with more (and more relevant) professionals when they carefully choose relevant keywords for their skills, bios, and job descriptions. Executive Resumes Atlanta specializes in helping executives find career success by their restructuring their resumes and optimizing personal branding efforts. 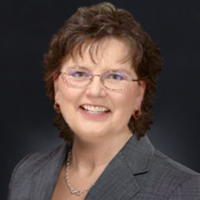 For expert advice on creating an impactful LinkedInProfile, contact Colleen. Regardless of someone’s speciality or the number of year’s they’ve observed an industry, they’re bound to have a few misconceptions about the nuances of internal structure for specific businesses. Many of these suppositions are based on how particular industries hire, promote, and educate its talent. And a substantial portion of conventional job search wisdom, particularly regarding executive networking, is based on false assumptions. As any woman specializing in a STEM career knows, these industries are largely male-oriented. Women often face discrimination in both the hiring process and the promotion process. Creating a strong business network is critical to female executives seeking a career in science, technology, engineering, or math. To learn more about personal marketing and networking for STEM executives, call Colleen at Executive Resumes Atlanta. The holiday season offers myriad chances to extend your professional network and mine new career opportunities. Every December executives are inundated with invitations to work parties, social functions, and a number of other superlative networking opportunities. Whether your job search is active during the holiday season or temporarily on hold, take advantage of your holiday social circle by developing a strong elevator pitch for this year’s holiday functions. Self-promotion is a challenge in the best of times, but at a holiday party you must not only overcome personal hangups, but also contend with a crowded room, tenuous introductions, and a shortage of time. Having a well-crafted elevator pitch can help you make an impression instead of leaving you fumbling by the snack table during networking opportunities like holiday office parties. A concise, informative elevator sales pitch allows executives to introduce themselves to visiting CEOs, leadership teams within their current companies, and experts in industries that may sound appealing as future career paths. The more you polish your self-promotion sales pitch, the better you can build a professional network when you find yourself in a situation with an unexpected opportunity for developing your career. Do you need help transforming your executive story into a concise, actionable sales pitch? Call Executive Resumes Atlanta for help honing your personal brand. For executives looking for fresh careers, the holiday season offers unique opportunities for growth and development. During the time between Christmas and the New Year, many CEOs, COOs, board members, and other executives take time off to recharge and reconnect with their loved ones. Stepping back to reengage with personal responsibilities is proven to increase the productivity, focus, and drive of business executives. Professionals who take advantage of excess of free time to find a new career path will face slimmer competition during the holidays, increasing the likelihood that a well-written executive resume will prompt a follow-up. Whether you’re taking a break or reinvigorating your job search, every executive building their career should take advantage of holiday networking. Find a partner. In some cases, networking safety blankets are a boon. Mingling at an office party with a friend or coworker allows you to feel more confident, increasing the likelihood that you’ll approach senior executives and strike up pertinent conversations. Networking with a friend also opens more business channels. Your friend likely has connections to share; you can pay back your coworker’s kindness by introducing her to the executive contacts in your business network. Look for opportunities. Striking up a conversation with an unknown executive at a holiday party is a daunting prospect. Take advantage of the setting to garner business connections without appearing pushy. Seek out the host of the party to thank him for his hospitality, strike up a conversation with the coworker standing solo at the snack table, and remain vigilant for opportunities to connect, such as discussing your favorite holiday movies with a visiting business partner. Play it cool. Are you searching for a new job before resigning from your current position? Networking at a holiday party doesn’t have to blow your cover. Focus on making contacts, finding commonality, and building relationships; leave business and development for subsequent conversations. Follow up. Networking at a holiday function means nothing if you don’t cultivate new relationships. Remember to send new business contacts a holiday greeting to strengthen the connection; chances are you’ll open the door to future opportunities for career advancement. Have questions about navigating the challenging world of the holiday job hunt? Call Executive Resumes Atlanta for more information. For many professionals, the holiday season whirls by in a flurry of meetings and deadlines. Many job seekers – operating under the assumption that searching for a job in November or December is ineffective at best – take advantage of the lull between Thanksgiving and New Year’s to recharge and refocus. These job seekers have missed an incredible opportunity to hone their focus, connect with new professional networks, and garner fresh career opportunities. Think twice before jetting off this Christmas. Unless they’re seeking seasonal work, most job hunters use the holidays as a mini break from finding a new career. This tactic is easily justified; after all, if you’re overwhelmed with work, personal obligations, and the holiday hubbub, potential employers must be as well. However, if you’ve spent any time in the HR department of a corporation, you know that December delivers more than just holiday gifts. Many companies determine their yearly budgets in the fall, giving them the funds and the incentive to solidify their leadership teams before the new quarter begins on January 1st. The holiday season job searcher has less competition and more potential leads than an executive searching for a new career at any other time of the year. It’s an excellent opportunity for finding a new career with a company you love. The holidays may seem inordinately busy, but they’re often punctuated with lulls amidst all the activity. Job seekers – especially those who are unemployed – have more downtime than you’d imagine during the holidays. Put your free time to good use by polishing your executive resume, researching companies you’d like to work for, and crafting a short, powerful elevator pitch for holiday parties. Networking is by far the best job search opportunity afforded by the holiday season. Thanksgiving to Christmas is an endless stream of holiday gatherings, reunions, and charity events. Strengthen your personal connections and make use of your professional network to find career opportunities at holiday parties and seasonal functions. Family celebrations, office parties, and industry fundraisers abound during the holidays, giving executive job searchers no dearth of opportunities to connect, build their network, and capture attention with a honed elevator pitch. Do you have questions about crafting a powerful executive resume, making an impact on LinkedIn, or finding a job during the holidays? Call Executive Resumes Atlanta. Most business professionals are familiar with LinkedIn’s online networking system, but few know just how many career opportunities bypass them daily. Executives are inundated with personal branding and social media marketing information. In the wake of so much information, it’s advantageous to take a step back and remember the basics of LinkedIn marketing. Mine recommendations, not endorsements. “Endorsement” is the buzzword in the LinkedIn personal marketing sphere, but as with any networking tactic, the more personal option makes a better professional impression. Accept endorsements from respected colleagues for your top executive skills, but don’t ask for endorsements. Instead ask a few superlative members of your executive team to write a recommendation. Recommendations are more personal, more compelling, and better display your executive skills. Timing is everything. The key to LinkedIn success is to stay active, even if you’re not actively searching for a new career. Follow revolutionary leaders in your industry, update your profile to reflect new challenges and skill sets, and refrain from asking for multiple recommendations and endorsements at once. LinkedIn timestamps their data, making it obvious to recruiters (and your current employer) when you’re scrambling to update your LinkedIn profile in the hopes of landing a new job. Give and take. Networking is not solely about seeking opportunities, but about forming mutually beneficial business relationships. If a business associate endorses one of your top skills, peruse their profile for a skill you can substantiate. When you write a professional recommendation on LinkedIn, ask your connection to return the favor. Be specific about which professional successes, leadership situations, and executive skills you’d like them to praise. But remember to choose your connections wisely. Endorsing the merits of a coworker is not simply a reflection of them, but of you as well. 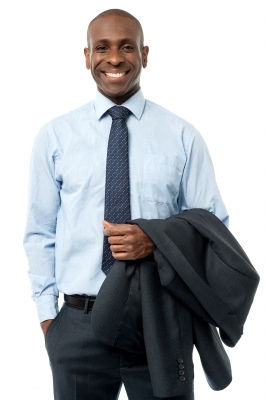 Executive Resumes Atlanta is an Atlanta-based executive-level career marketing service. Call Colleen for more information about how a professionally written LinkedIn profile can help maximize your career success.